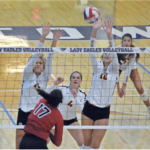 Finishing matches has been a theme of Lassiter’s volleyball team all season long, and the Lady Trojans hardly let off the throttle in Wednesday’s Class AAAAAAA state semifinal against Lambert. 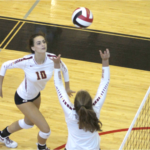 Back on its home court for the first time after winning three straight playoff matches in Gwinnett County, Lassiter needed just three sets to finish off Lambert 25-23, 25-18, 25-18 and reach the state finals for the first time since 2006. 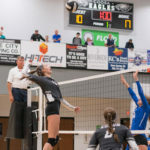 Lassiter (30-8) was clicking on all cylinders in the second and third sets after surviving the first, which was the very thing coach Greg Hodge wanted to see after a pair of five-set losses in the early rounds ended the Lady Trojans’ postseason dreams each of the last two years. With the victory, Lassiter (30-8) will face Area 4AAAAAAA rival Walton (39-6) for the championship Saturday night at Marietta. 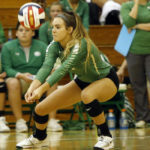 The Lady Raiders needed four sets to beat South Forsyth in the other semifinal.